Having last year’s event on downtown’s beautiful Capitol Mall was such a hit, we’re doing it again, but this time we’re going for BIGGER and BETTER! 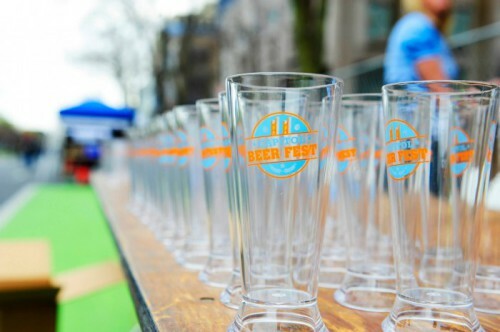 This year, the 5th annual Capitol Beer Fest will take over an additional block of Capitol Mall, offering more space for improvements and comfort. Even with 4 blocks of Capitol Mall this year, instead of 3 blocks in the past, every tap is pouring. We are not longer accepting additional brewers or food trucks to Capitol Beer Fest, because WE’RE FULL! Don’t worry, we’ll have A LOT more bathrooms than last year for you to dispose of all that extra beer. With 100+ breweries, serving over 300 varieties of craft beer, including a Specialty Beer Area, and live, high energy classic rock by Daze on the Green, it will be an epic conclusion to Sacramento Beer Week! With ample, affordable, parking, free bike valet, and easy access to the light rail station, there is really no reason to miss this incredible beer event. The generosity of brewers, attendees, and partners make this event possible and 100% of the proceeds go to the Runnin’ for Rhett Youth Fitness Program. Check out more pictures from last year’s amazing event here. Last, but certainly not least, please remember everyone working the event is volunteering to support local youth fitness programs. So let’s all get along and have a good time!